Emmy Award, Golden Globe Award and Grammy Award nominee and Critics’ Choice Award winner Zooey Deschanel cemented her place as a mainstream presence with a handle for nuance when she re-introduced the classical leading lady to the modern audience with her old-fashioned charm in her starring roles in “500 Days of Summer” and “Yes Man”. “Trolls” is a funny and irreverent new movie from DreamWorks Animation, which is all about happiness. 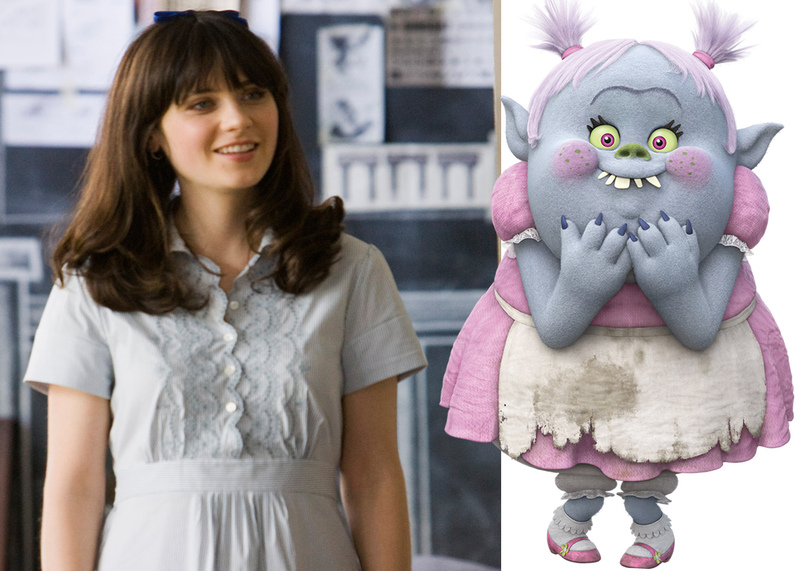 Anna Kendrick stars as the voice of Poppy, the optimistic and relentlessly positive leader of the Trolls. With their trademark, rainbow-colored hair and upbeat personalities, they are the essence of joy. Only one member of the community is sad. Branch (Justin Timberlake), a fearful and over-cautious Troll, is terrified that miserable monsters called The Bergens will find them. The Bergens are only happy when they eat Trolls! The Bergens are the flip side of the Trolls. These depressed giants believe that menacing Trolls is the only viable path to their happiness. Given the Bergens’ king’s (King Gristle Jr. voiced by Christopher Mintz-Plasse) childish ways, it’s no surprise that he is unlucky in love. But that status may change, if the Bergen scullery maid Bridget aka Lady Glittersparkles has anything to say about it. Voiced by Zooey Deschanel, Bridget is the sweetest, most kindhearted Bergen in all of Bergen Town; in fact, she may be the only kindhearted Bergen. Bridget is sensitive and soft-spoken, and harbors a crush on the king. “She’s our Cinderella,” says director Mike Mitchell. As her big evening with Gristle unfolds, Bridget gets help from Poppy and her friends, who not only provide the maid with rainbow-colored tresses made from their own collective hair, but try and help to converse with Gristle. 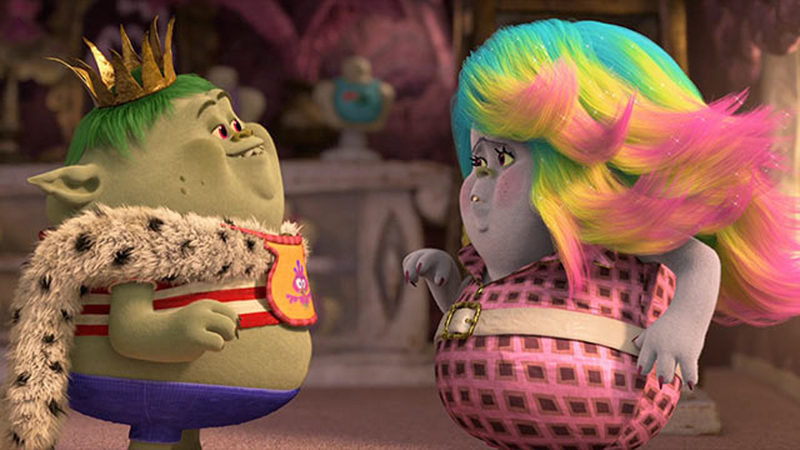 Hair is a defining aspect of the Trolls and their universe, and bringing its nearly supernatural powers to life fell to a specially created “Hair Task Force,” made up of hundreds of artists and technicians working only on hair effects, ensuring that this magical thing was always looking—and acting—fabulous. All that hair-raising derring-do didn’t come easily: the Hair Task Force created a total of 1.8 million strands, with Poppy taking 84,000, Branch almost 50,000—and Lady Glittersparkles (aka Bridget) taking the furry crown, using 237,375 strands, with help from Poppy and her pals, of course. Let your hair down and let the happiness flow when “Trolls” opens November 2 in cinemas nationwide from 20th Century Fox to be distributed by Warner Bros.